Continental has successfully concluded fiscal 2018. The DAX company’s sales totalled 44.4 Euros billion and the adjusted EBIT margin was 9.3 percent, which meant that the technology company achieved its adjusted annual targets. “Leaders deliver good results, even under bad circumstances. Over the past year, we have again demonstrated our excellent performance despite the weak markets. We are continuing to grow faster than our relevant industries and markets,” said Dr Elmar Degenhart, CEO of Continental, taking stock of the past fiscal year on Thursday in Hanover. At the presentation of the preliminary business figures for 2018, Degenhart made reference to Continental’s extraordinary technological prowess. The DAX company’s unique technology portfolio once again helped it to grow at a faster rate than its markets in 2018. Continental’s organic sales growth was 3 percent. “Our growth is testament to the confidence our existing and many new global customers have in our innovation capacity. In addition, our net income of 2.9 billion Euros was almost at a record level. That is a solid result given the disappointing market development in the past year,” remarked Wolfgang Schäfer, Continental’s CFO. In 2018, Continental continued to invest large amounts in the mobility of tomorrow. In fiscal 2018, the technology company spent over 6.3 billion Euros on projects including research and development as well as the expansion of production facilities and capacities. Continental’s powertrain business will in the future trade on the market under the name “Vitesco Technologies.” The transition is planned for the second half of the year. The name combines two key elements of the powertrain business: Vitesco stands for speed and agility, and establishes a direct reference to Continental’s attractive product and service portfolio for the mobility and automotive sector. The addition of “Technologies” underscores the commitment as a provider of innovative and pioneering technologies, systems and services. The “Vit” part of the name is derived from the Latin “vita” and signifies intrinsic energy and vigour, thus accentuating the goal and purpose of making sustainable contributions to clean mobility for millions of people worldwide. In addition to the combustion engine business, the activities of Vitesco Technologies will also include all future business involving hybrid and electric drive systems as well as all current battery activities. 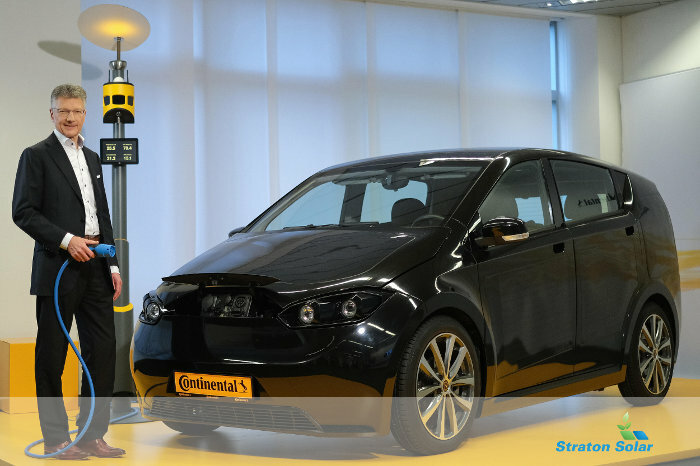 Continental is a longstanding technology leader and innovation driver when it comes to electrification of the powertrain. It is one of the few system suppliers that is in a position to offer full electrification of the powertrain from one source – from the 48-volt system and the electric drive to the highly complex power electronics and the battery management system, through to the energy and thermal management systems. Next: Is five percent economic growth possible?